Hang tags - Schröder Polska Sp. zo.o. 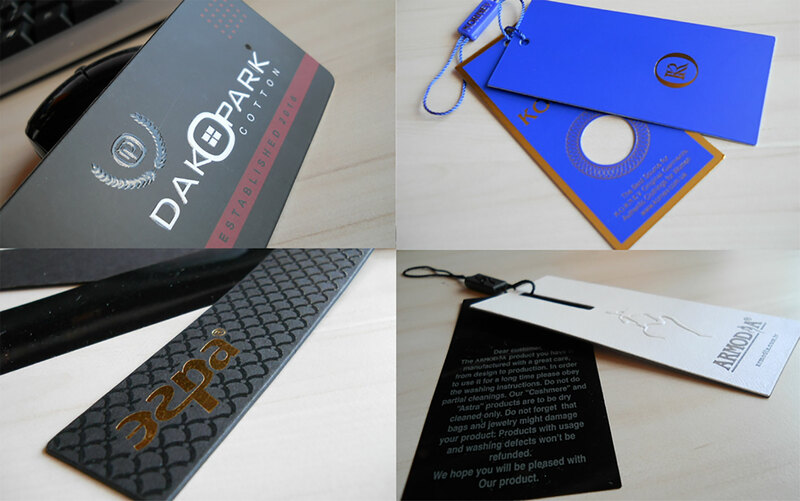 We offers a wide range of paper and plastic hang tags. They are made by offset or screen printing. We use a variety of substrates/ raw materials depending on the customer’s requirements and the purpose of the final product. We use different types of paper: coated, uncoated , recycled paper, organic, carbon paper and plastics: polypropylene, PVC with different structures, colored foils. The shape of the labels can be obtained by cutting with a guillotine or punched with a die created for a specific customer’s order (sophisticated shapes).